The renowned economist from the University of Columbia gave a keynote speech during the Inception Workshop: Vision and Strategies for 2018. 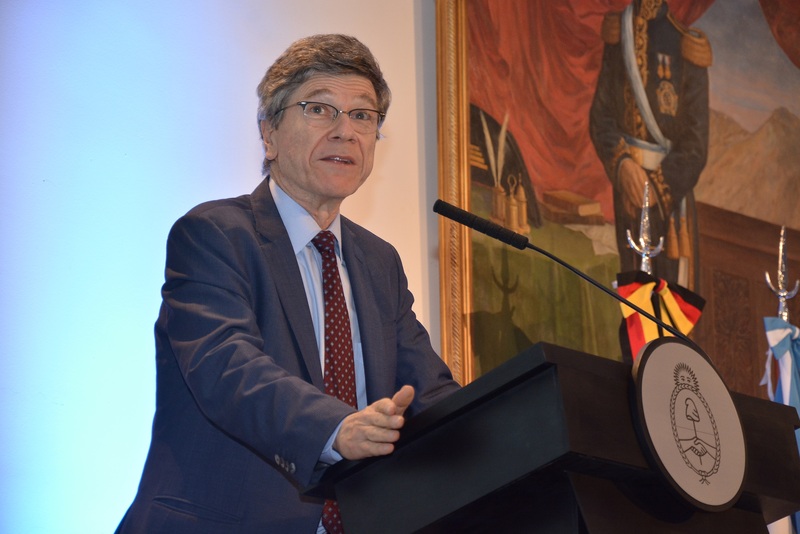 During the first day of the Think 20’s (T20) event in Buenos Aires there was a keynote session from Jeffrey Sachs, expert in the economic challenges of globalization. In front of an audience which included academics, national and international officials, and members from the business community, the economist talked about the current state of multilateralism and the G20, the role of think tanks and the mission of their engagement group. “The world needs thinking, which is why I think the work carried out by think tanks is vital. That’s why I thank the T20, under the coordination of CARI and CIPPEC, to further explore the work carried out by Germany last year. In this context, the T20 has a central role in global thinking in the years to come,”said the economist from the University of Columbia. “I do believe the world, most importantly, needs thinking. I think the role of think tanks is absolutely vital right now and I really appreciate how the G20, and the T20 I should say, is deepening the work of Germany last year – our colleagues Dirk Messner and Dennis Snower, the German Development Institute and the Kiel Institute did a great job and CIPPEC and CARI are carrying that tradition to the next level and I think the role of the T20 can be a really central role in global thinking in the years ahead and that is very very exciting,” said Sachs. Sachs also said we should “keep our eye on the serious, not the ephemeral”. “Let’s keep our eye not on short term political games but on the real purpose of the G20, and that is for the 20 large economies of the world representing about three quarters of humanity and even more of the world economy, to solve problems. To work constructively, not to be led by one country, not to be afraid of one government but to actually take on the real challenges we face cooperatively,” he said. “I, as you know, every time I have the chance is to say the best single summary of our socio-economic environmental challenges are the concept of sustainable development. It means that we’re aiming for societies that are prosperous, socially fair and environmentally sustainable. And you don’t get to pick one or the other, the idea of sustainable development is three objectives viewed holistically,” Sachs added. “My message for the governments of the G20 is: maintain these priorities. Do not lose them. Don’t be cynical. Make sure they are enforced. The second point is to think. We are think tanks, we are the ones who make the government think. The third is that we need to measure where we are, where we want to go and how we are going to measure it. The fourth: use international institutions. The fifth and final point: use think tanks and universities to think,” said the economist. 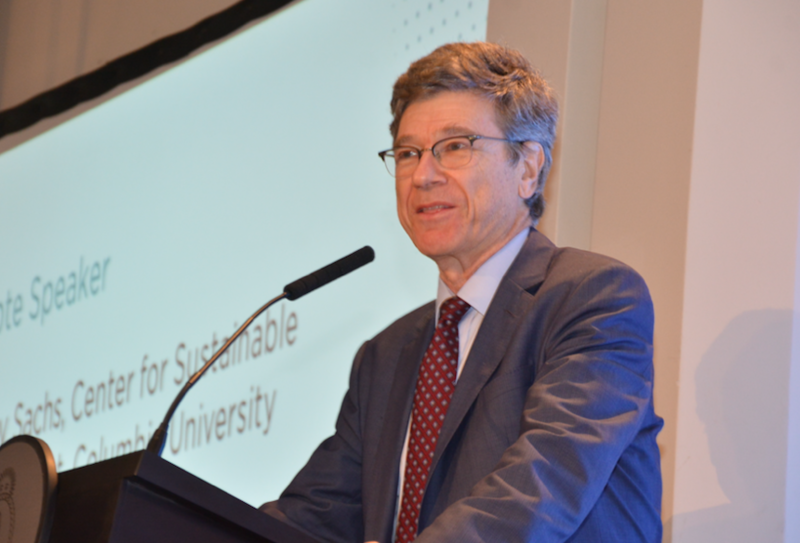 Jeffrey Sachs is the Professor and Director of the Center for Sustainable Development at Columbia University and director of the UN Sustainable Development Solutions Network. He is also a member of the T20 Advisory Board and co-chair of the Task Force “The Future of Work and Education for the Digital Age”. The Inception Workshop: Vision and Strategies for 2018 is the first time that the Think 20 (T20) can work together face-to-face. Click here for the entire program of the Inception Workshop: Vision and Strategies for 2018 and follow our live coverage of the event on Twitter.